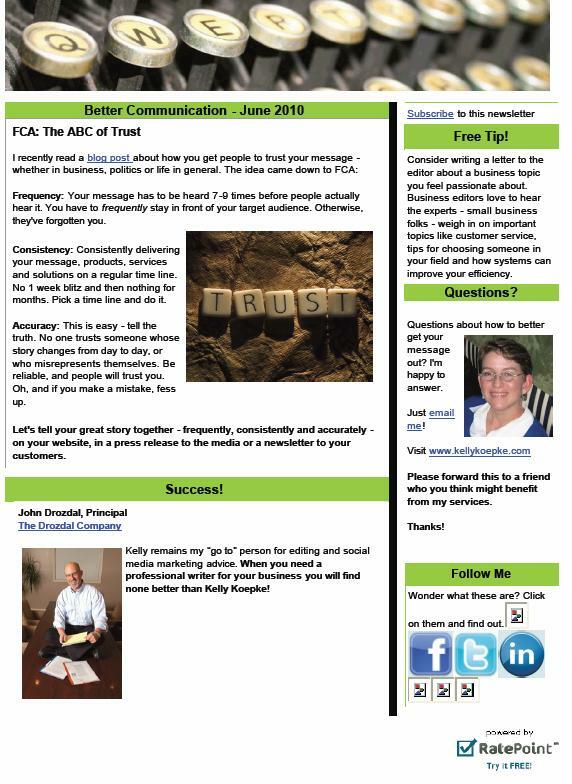 My June 2010 newsletter, Better Communication, is now available. Click below for the PDF version. This entry was posted in Uncategorized on July 9, 2010 by kellykoepke. 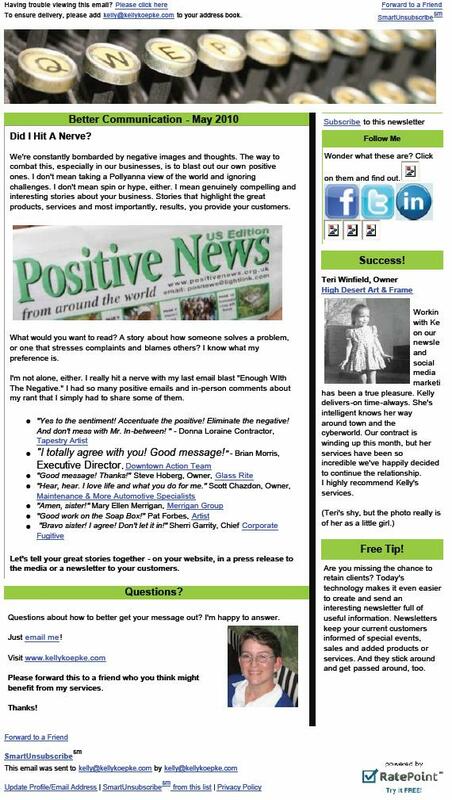 My May 2010 newsletter, Better Communication, is now available. Click below for the PDF version.